Dilly and Dally are two shy but sweet sisters who would love to be adopted together! They have short hair and are litter trained. Every rabbit sheltered at B.U.N.S. is spayed or neutered prior to adoption. Adoption applications accepted for Santa Barbara/Ventura/San Luis Obispo county residents only. To meet Dilly and Dally as well as other bunnies and guinea pigs, come visit Bunnies Urgently Needing Shelter (B.U.N.S.). B.U.N.S. 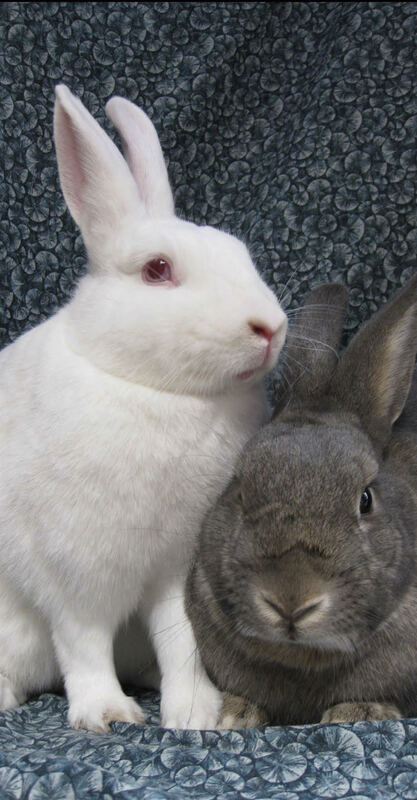 is a volunteer organization that cares for abandoned rabbits. Follow B.U.N.S. on facebook at: https://www.facebook.com/bunssb/ and you’ll receive health alerts in the area.